Before there was Yesspeak, there was Yesyears. In some ways this documentary is superior to the more recent one. Filmed during the eight man Union tour, this film gives a history told through video clips and interview segments. Live footage from the Union tour is also included, but only sections of songs. I've always wished they would release the concert footage that was filmed of this tour in full. Still that is not the only archival footage on show here, indeed there is live film from all the way back to the beginning of the band. The interview segments include conversations with all eight men present. Still, it would have been nice to have included the other former members of the Yes camp in this retrospective. Also the way in which the story of the band is told is quite interesting. Obviously the creators filmed extensive interviews with all the musicians, but the storyline is essentially pasted together from these interviews. In other words rather than seeing a series of long interviews with each band member, the story is told by short clips by each man followed by a short clip of one of the band mates to continue the telling. 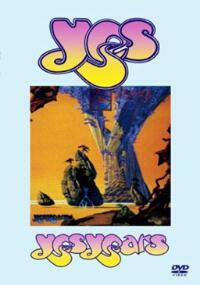 This effect makes for a very effective and engrossing journey along the history of Yes. While this film pays close attention to each and every Yes album and change within the band, and even covers some of the solo material (the clips from Fish Out of Water and Beginnings are a wonderful addition) it doesn't touch on Anderson Bruford Wakeman and Howe. During the final segment of the video you get to be a fly on the wall while the band does should checks, plays live and kicks back behind the scenes. All in all this adds up to a killer video. This one is a great addition to any Yes fan's collection, and would probably serve to more casual fans to unravel the somewhat confusing tale of the history of the group. In combination with the more recent Yesspeak, this would be half of a pretty comprehensive and complete look at where the band came from and where they are now. 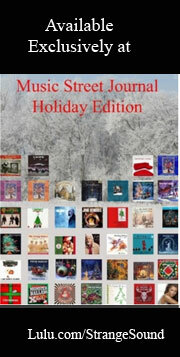 This review is available in book format (hardcover and paperback) in Music Street Journal: 2005 Year Book Volume 2 at lulu.com/strangesound.